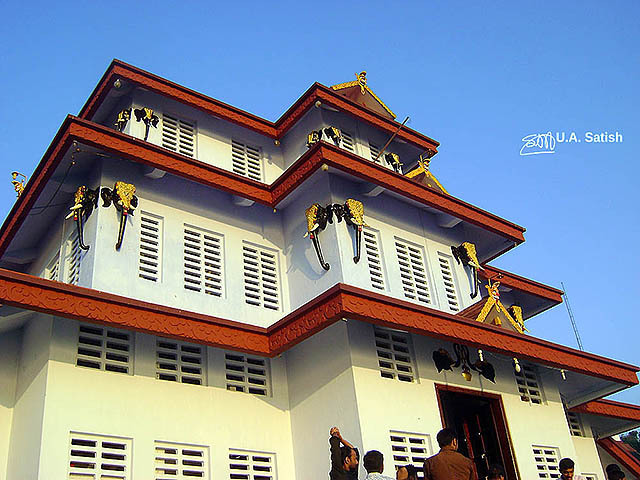 A temple in Thalassery, Kerala is Ambalavattam Temple. It is owned by Ambalavattam family and is managed by a charitable trust. I shot this image at the temple during a festival. The Chenda is mainly played in Hindu temple festivals and as an accompaniment in the religious art forms of Kerala. 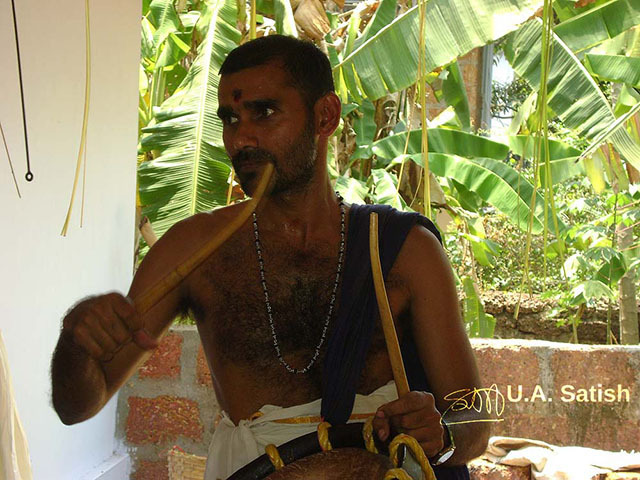 The Chenda is a cylindrical percussion instrument used widely in Kerala. Panchari melam, comprising of instruments like chenda, ilathalam, kombu and kuzhal, is performed during virtually every temple festival in central Kerala. Another chenda melam which comes close to Panchari in popularity is Pandi Melam. Other chenda melams include chempata, adanta, anchatanta, chempha, dhruvam, navam, kalpam and ekadasam. Delhi has many historical monuments. One of them is Isa Khan’s Tomb. Isa Khan was an Afghan noble in the court of Sher Shah Suri and later of his son Islam Shah Suri, both of the Sur dynasty. The tomb was built in Isa Khan’s lifetime in 1547-1548 AD, and is situated near Mughal Emperor Humayun’s Tomb which was later built between 1562-1571 AD. 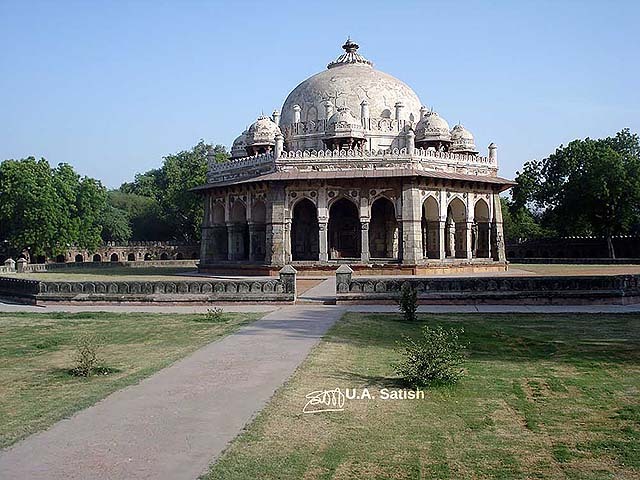 The pillared mausoleum is topped by an inverted flower-shaped dome with smaller supporting domes. It was reopened to public in April this year after a two-year restoration work. Slanting rays of the evening sun brings out fine details of the tomb. The photo was taken with a point and shoot camera, Sony DSC-W35. It goes to show that you do not need a high-end digital SLR to take good photos. The photo can be licensed from Getty Images. Ambeshiv Gaon is a small village, 11 km from Ambarnath railway station. Barvi River flows through the village. Barvi Dam is 12 km away. It supplies water to Navi Mumbai and Thane. It is surrounded by evergreen hills and dense forests. Sree Ramadasa Ashram is located in Ambeshiv Gaon, by the side of Barvi River. 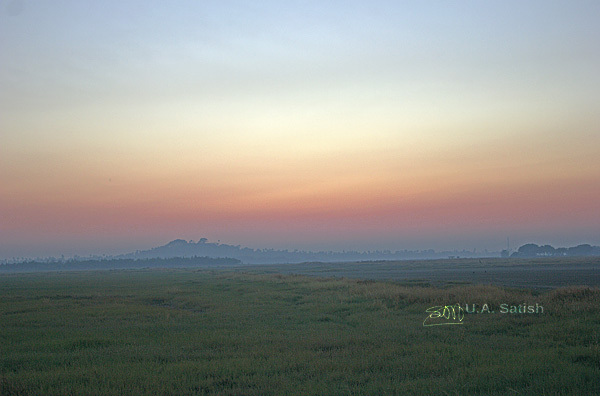 This is another image of the vast open areas of Vasai. The wetlands are covered with greenery. 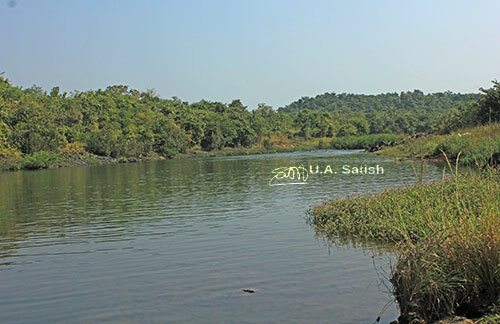 Mangroves grow in many parts of Vasai. This acts as a natural drainage area for rain water. Many different species of birds can be found here. Pink Flamingos come to feed on blue-green algae, brine shrimp and molluscs in the months of November to March. I shot this photo on a November evening. The sky had vivid colours from the setting sun.